Who would have thought that lions lose their manes when neutered? But why? It’s only fur right and not connected to the family jewels. Why do lions lose their mane when neutered? It’s because the the lions mane is closely tied to its manhood. And the main producer of testosterone is the testicles. So remove them and you remove the manhood and the mane. The mane of male lions have several purposes. It makes the lion look bigger and more terrifying so that it can scare off other animals such as hyenas. But it’s not only used as a method of intimidation. The mane is also used as a sexual cue for females. The lionesses actually prefer a fuller and darker mane. Furthermore, it has been discovered that a lions mane is directly related to their hormone production. It’s extremely rare for a wild lion to be castrated, and most who have been are in captivity. The lions who have the thickest and darkest manes are in most cases the most fertile. While those that are less fertile have smaller and lighter manes. And lions lose their manes when neutered. But it’s not all bad news for the castrated male. 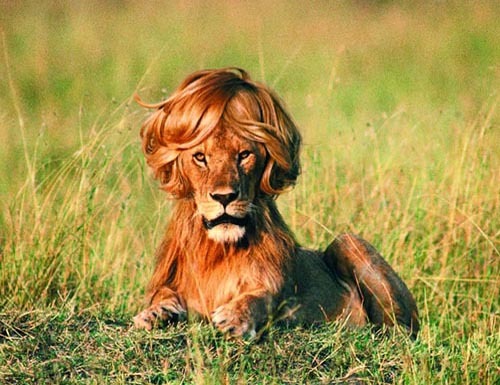 The mane makes it nearly impossible for males to successfully hunt alone. The size of it often alerts potential prey to their presence. A neutered lion that has lost their mane will find it easier to survive in the wild alone. But it really is a shame to see a lion lose their mane when neutered. It takes on average between five and seven years for a male to fully grow to its full length.